Just a quick post tonight. 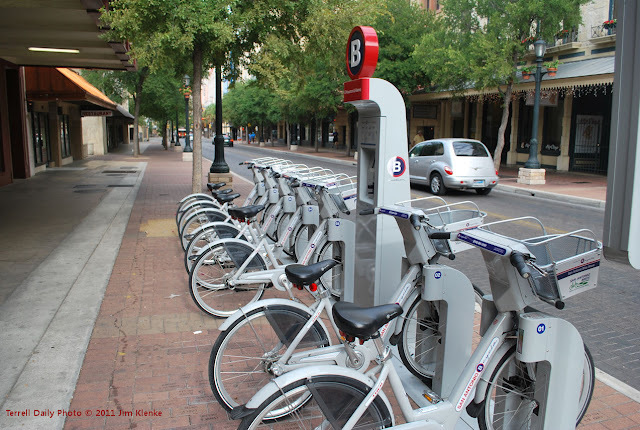 San Antonio has bikes for rent. First time I have seen something like that.